Visit old Manila at night and experience both the calm and spooky side of the Walled City! Cycle under street lights and through the empty streets of Intramuros on this one-of-a-kind tour! Intramuros is famous for its beautiful ruins and rich history, but it gets even more interesting at night! This special tour by Bambike Tours will allow you to see the beauty of the Walled City at night, giving you a different perspective of this historic place. 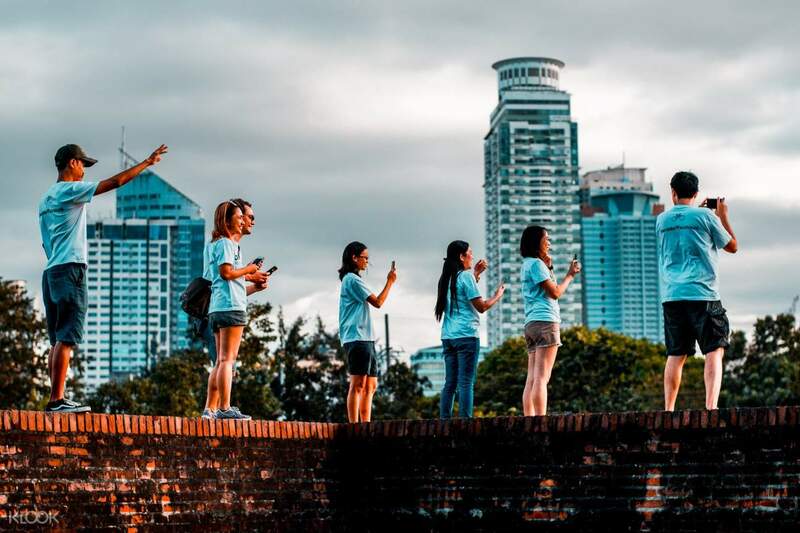 You'll be led by an English-speaking guide who will take you to several key points in Intramuros. Some of the places you’ll visit include Aduana Building, a gorgeous Spanish Colonial building known to house various government offices through the years; Plaza Roma, a public square in Intramuros that formerly hosted bullfights and various events during the Spanish colonial era; and Manila Cathedral, a Neo-Romanesque cathedral built in 1571. No need to worry about walking for hours as this tour includes awesome Bambikes or bikes made of bamboo, abaca materials, and aircraft-grade aluminum. 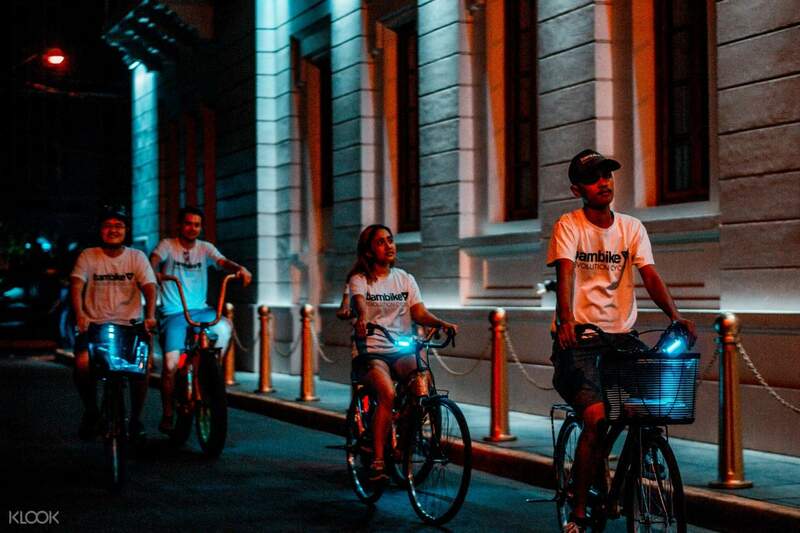 Cruise through Intramuros’ empty streets and bright lights when you join this night tour of the Walled City! 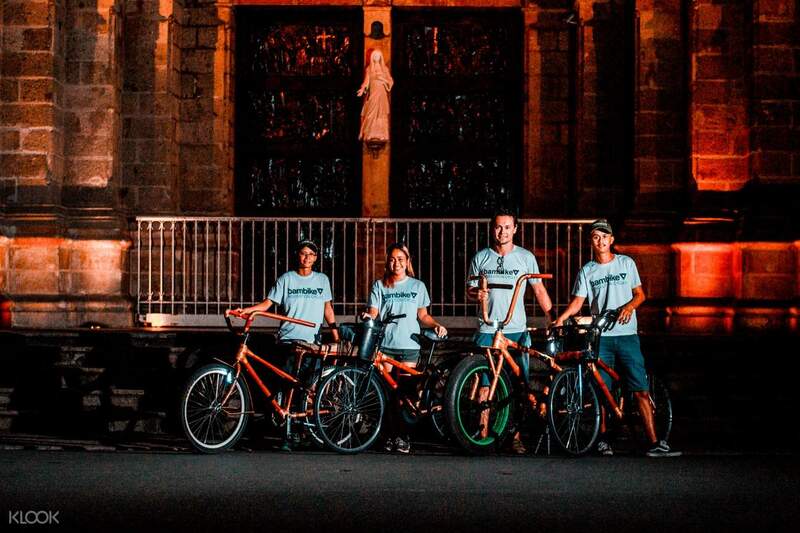 Go around Intramuros comfortably with this eco bike made out of bamboo! Meet fellow tourists and discover the rich history of Intramuros at night!